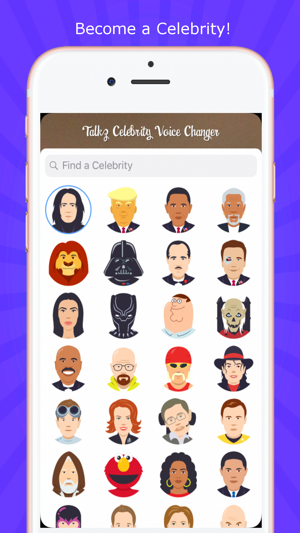 Emojis and Stickers can Speak ANYTHING you Type with Celebrity text to speech (TTS)! Talkz for Messenger let's you share anything you want as a variety of characters! You can also save as Video to your Camera Roll. Users can make their own stickers by uploading art and audio on Talkz website. All Audio and Images are User-Generated, so, you are encouraged to make your own stickers. If you're looking for Stickers for Messenger, you're going to love these Animated Stickers for Messenger! Why settle for a boring emoji that doens't do anything when you can have an animated emoji for messenger? Emoticons and animated gifs for messenger don't have any sound - talking stickers are more fun, like a custom avatar for messenger. After everyone sees the same GIF or Meme for messenger over and over again, it get's boring. You'll never get bored of these Talking Stickers for Messenger! Talkz uses proprietary Deep Learning Technology to replicate or impersonate audio that is uploaded by users to create voice clones. Talkz technology is the latest automatic voice cloning technology and can automatically create text to speech (TTS) voices. Developers can integrate through simple API and obtain a license from Talkz. If you're a talented voice talent or graphic designer/artist and would like to work with us, please reach out! Talkz supports user-generated talking stickers (like customizable ringtones), so there’s no end to your creativity. Talking Stickers are more dynamic than any emoji, emoticon or meme creator and change your voice to a text to speech voice, for Messenger. 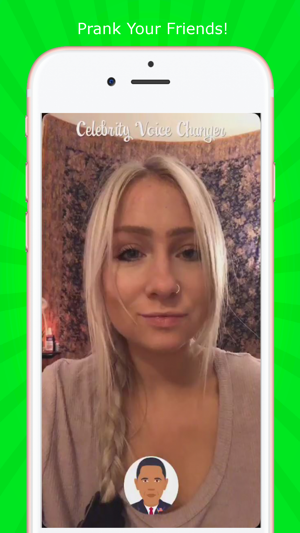 Note: Talking Stickers with voice cloning text to speech are meant to be used as a parody and may be impersonated– Talkz and its partners or affiliates are not responsible for the content, pic, photo, and/or audio used to impersonate or create user-generated Talking Stickers emojicons, ringtones or memes. If you have any questions, feel free to drop our support a line. Upvote or downvote what you like or dislike and howl back at other people's howls. Subscriptions unlock features such as additional voices and unlimited use, and are weekly and auto-renew unless canceled. Subscriptions with free trial are monthly and auto-renew after 3 day trial period unless canceled. Legal Notice: Talkz, Inc. is not a partner, affiliated with, implying or claiming affiliation with any other company or developer. All Trademarks belong to their respective owners. Come check out our new voices! Even though this game is free you more or less have to pay for it. While using this app I was constantly interrupted to the point where I couldn’t use it properly. More than half of the characters are locked behind a paywall and the voices I used weren’t accurate at all. 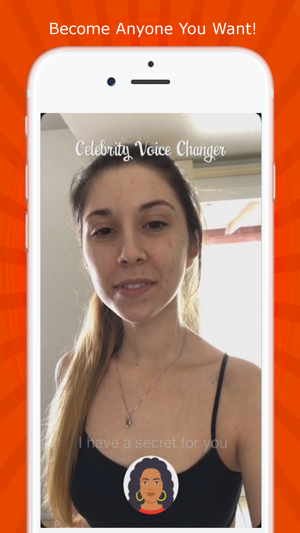 There is also a timer in between your use of voices, so if you would like to switch to a different voice changer you would have to wait. Overall this game is terrible, I do not recommend at all. Downloading this app was a complete waste of time, I only downloaded this app to check it out because it was popping up in a lot of places. I was eager to start playing but was disappointed as soon as I opened it. The first thing that greets you is a subscription box which isn’t a good sign. I didn’t want to spend any money on a free app that I wasn’t going to use a lot. I don’t know what I was expecting from a game like this. Don’t even bother taking the time and storage to download this terrible app. Omg this game is so bad! The second you open it, it’s like “oh, pay me MONEY!! !” And so your like nah so you continue. Then you try out your first voice changer, and I just said “hi” to test it out! Then it made me wait one minute so I left the game to play another one. When I clicked on the app again *note I didn’t close the window* it forced me to buy whatever they wanted me to buy or something and if I didn’t I couldn’t play the game. So instead of paying for something not useful, I deleted it and didn’t pay. This game is such a joke. Do not get. Do not get please unless you have like 20 bucks sitting around that your just willing to throw in the trash can because if you buy the expansion that’s you. I don’t have that money sitting around, I only spend my money of useful things, or every once in a while (VERY VERY RARE) I will do an in app purchase but ONLY if I will actually use the app. Like this app was for fun, but I wouldn’t use it often. Please don’t get this.